Stirling Properties worked as local brokerage tenant rep to secure location. On Friday, UNTUCKit celebrated the grand opening of its first Louisiana store located at 3943 Magazine Street in the heart of New Orleans. Stirling Properties commercial real estate company worked as the local brokerage tenant representative to help secure the location. UNTUCKit, one of the fastest-growing retail brands in the U.S., will occupy 2,089 square feet of retail space. If you’re not familiar with the brand, UNTUCKit was created in 2011 to solve the problem of the long, sloppy look of untucked and ill-fitting dress shirts by designing shirts that are meant to be worn untucked. They’ve since introduced categories ranging from t-shirts and polos to sports jackets and performance wear—plus, the launch of women’s and boys’ lines in 2017. Earlier this year, New Orleans Saints quarterback Drew Brees joined the UNTUCKit team as an investor and “brand ambassador” for the company. He decided to invest after meeting the company’s founder Chris Riccobono at the 2018 Super Bowl. Recently, Brees and the retail company gave away 10,000 shirts to local students in New Orleans ahead of them going back to school! “We’re excited to bring the ease and comfort of our full apparel line to the NOLA community, up close and in person. The Magazine St. store will house the complete UNTUCKit assortment, where customers can try on each style and find their perfect fit in a relaxed and unique shopping environment,” said Chris Riccobono, Founder of UNTUCKit. 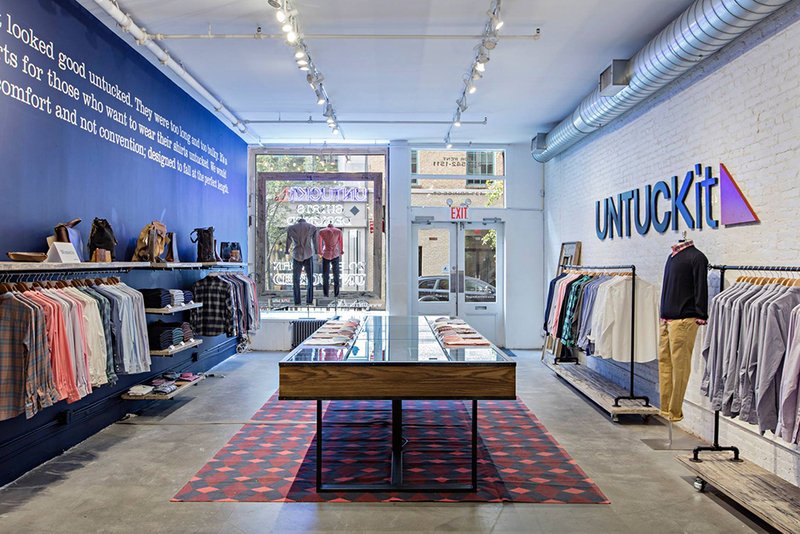 While this is the first Louisiana store, UNTUCKit Magazine Street will be the brand’s 41st store across the U.S. and Canada. Carly Plotkin, Sales & Leasing Executive with Stirling Properties, served as the local tenant rep on the lease transaction, along with Cushman & Wakefield. For sales & leasing information, contact Carly Plotkin at cplotkin@stirlingprop.com / (504) 620-8120.